Your office’s cleanliness is a key to how positively your business is perceived by your target customers. This is particularly true in the legal practice. Having a firm that looks and smells good can make all the difference between winning over a client and having them walk away to your competitors. 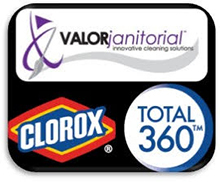 Here at Valor Janitorial, we understand the need for high quality janitorial services for law offices. Legal professionals in the Dallas-Fort Worth area expect not only effectiveness but also the utmost care for their specialized work environments. Our experienced cleaning and sanitation experts are trained to properly treat areas where legal documents and other sensitive items are stored. We guarantee the security of your building, its contents and your privacy with each visit we make to your facility. Your trust is extremely important to us and we strive to earn and maintain it in every way we can.